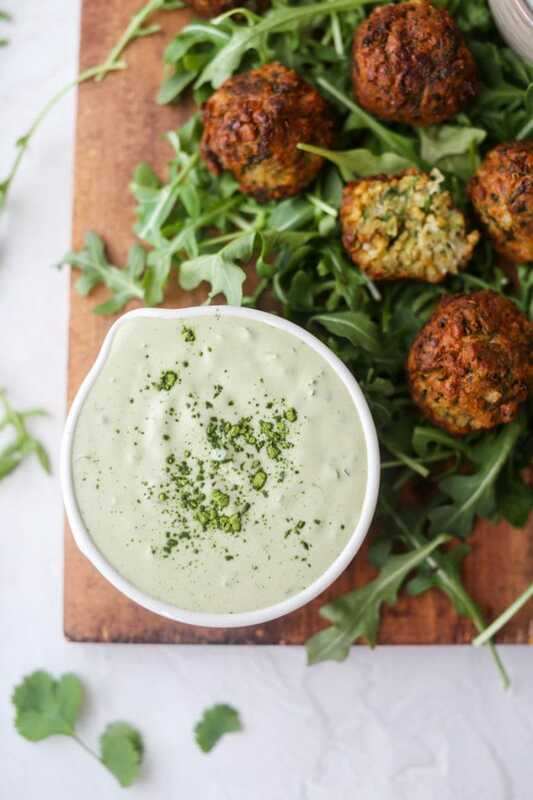 This Falafel Recipe is definitely one you’ll want to keep on hand for so many occasions! If you don’t know how to make falafel, don’t worry. It’s simple, and you’ll be preparing a wonderful Greek dinner paired with a unique Tahini Recipe in no time! Raise your hand if you’re obsessed with Greek food like I am! Seriously, it is one of my absolute favorite cuisines, but I’ve always been a little intimidated at the idea of making a Greek dish! But this Falafel Recipe is an absolute game-changer! I am so excited about this recipe from our sweet contributor Madison from Sunny Thymes. This recipe is absolutely effortless and so easily attainable. I’m so excited to make Greek food at home over and over now. And it’s so simple, I may even be able to get the kids involved! If you’ve never had the chance to try Falafel before, get on it! 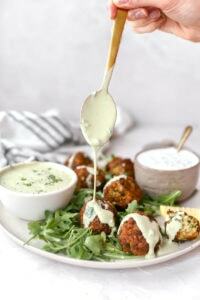 ;) Falafel is a traditional Mediterranean dish that’s been around for centuries. 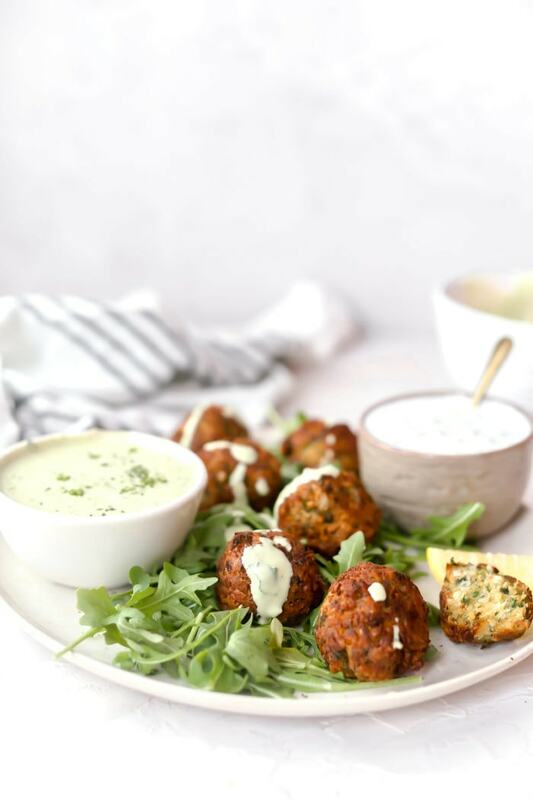 Typically, Falafel is made of chickpeas ( or garbanzo beans), which are ground up and seasoned with onions and spices like garlic, coriander, and cumin. The mixture is formed into balls or spheres and then deep-fried for a delicious crispy outer texture. SO GOOD! 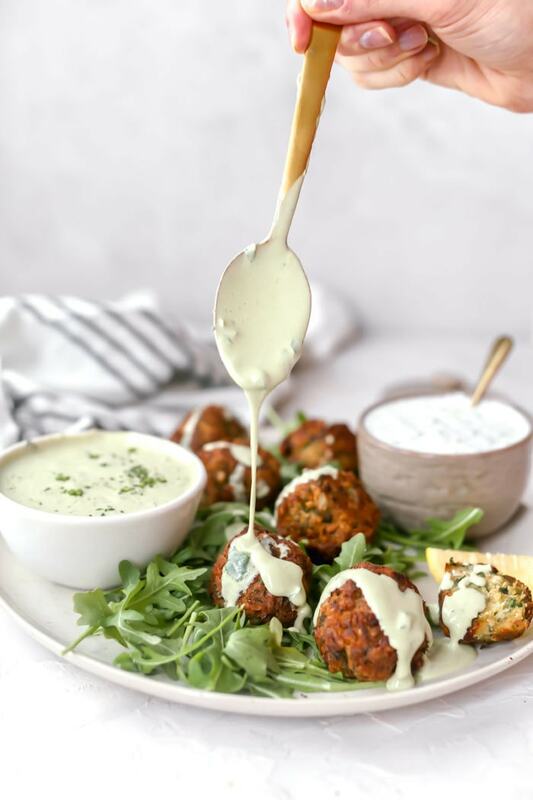 Falafel is definitely one of my all-time favorite Greek cuisine recipes because of how flavorful it is. Which is no surprise once you realize what it’s made out of! All you need for this recipe is chickpeas, garlic cloves, red onion, mint leaves, cilantro, and parsley. And for that kick of zestiness you’ll want to use coriander, cinnamon, cardamom, and ginger. Finally, grab some avocado oil for frying the rolled falafel spheres. This Falafel recipe is ridiculously easy to make. Basically, all you have to do is mix all the ingredients together by putting them in a food processor, and blend! Which is incredible for those moms out there with just enough time to make a quick snack to go or to whip up a quick appetizer. First, you want to combine everything except the chickpeas and oil into the food processor. But don’t pulse for a long time! The goal here is to have a crumbly texture, not a liquid concoction, so pulse in 5 second chunks of time! Then, add the chickpeas into the blender and continue to blend 5 seconds at a time. In between each pulse, be sure to scrape down the sides so that those pieces of chickpea blend evenly. Afterwards, you want to transfer the mixture into a bowl and add the flour until well mixed. My favorite part of this recipe is the rolling part. 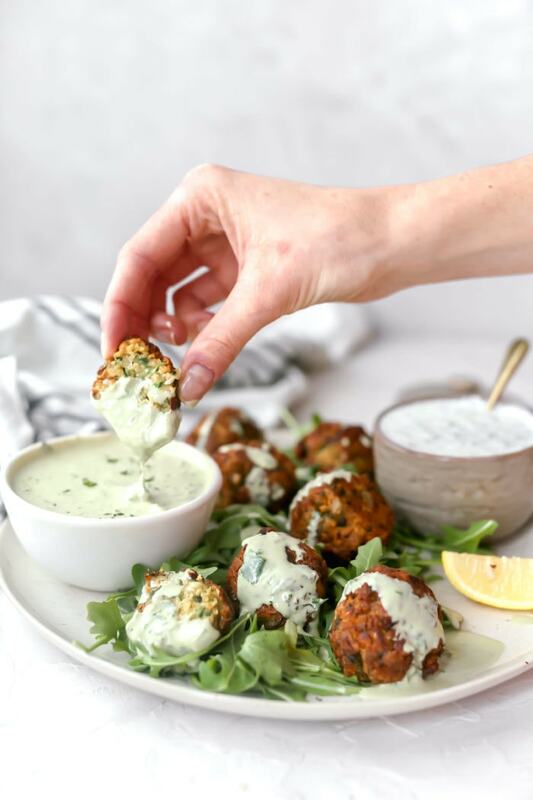 Get the whole family involved and see who can make that perfect Falafel sphere! The most delicious thing about this recipe is the super creamy Tahini Sauce. And I know what you’re thinking—Matcha Tahini? YES! You read that right! 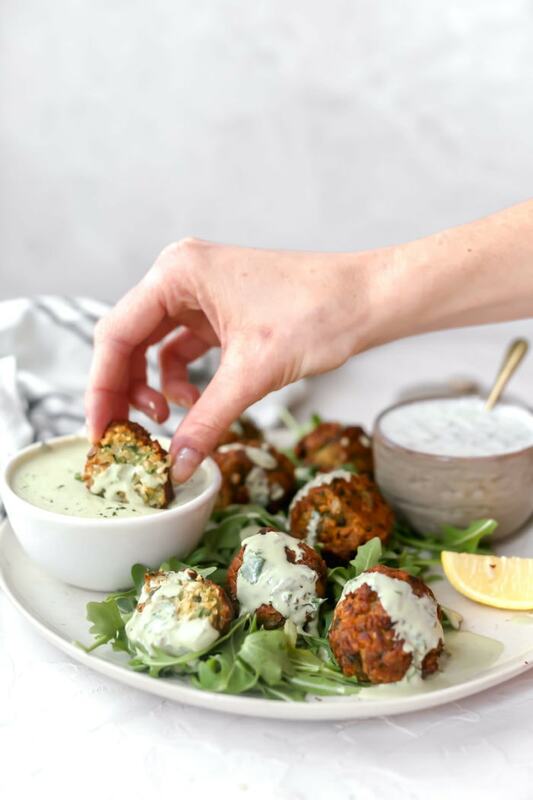 The hint of fresh tea flavor complements the fried and fluffy Falafel so well! Trust me, you’ll want to make this quick snack to-go all the time. All you need to do to make this Matcha Tahini Recipe is combine the tahini, matcha powder, lemon juice, parsley, cilantro, water, garlic, and salt into a bowl and whisk until it’s totally smooth. It’s that simple! I am so excited to bookmark this recipe as a great, simple standby! I am so excited to make this recipe over and over again – and stop having to order Greek takeout so much to get my fix! 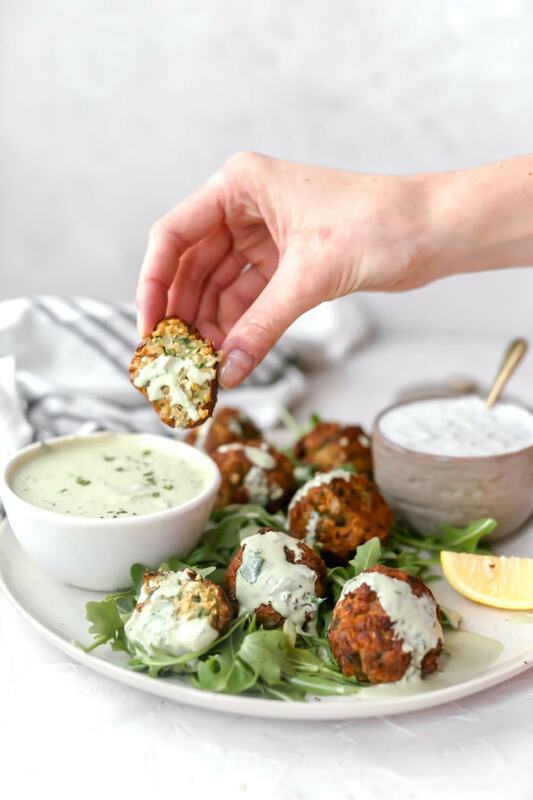 ;) The Falafel recipe comes together in just a few steps and a few minutes, making for an effortless lunch or easy appetizer. What Falafel recipes or other Greek food do you love to make? I’d love to hear all about your faves in the comments! I LOVE falafel and can’t to try this recipe!